Hello fellow sewists! 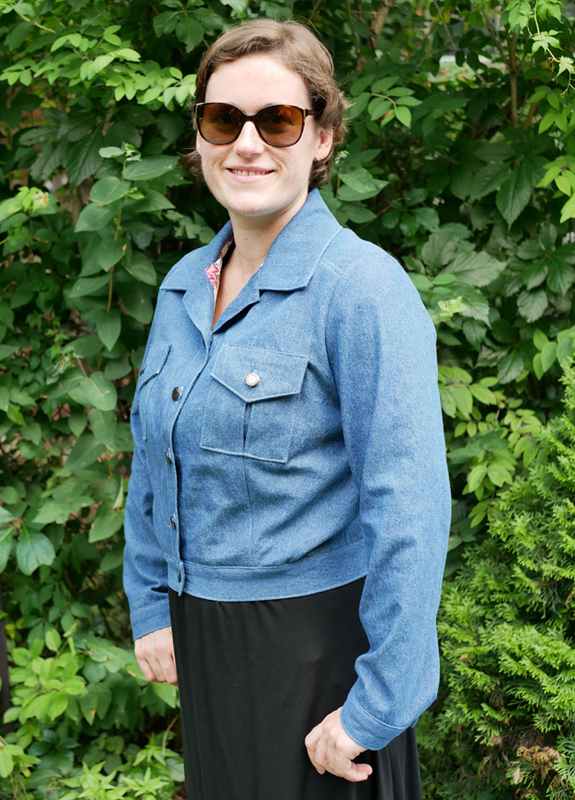 My name is Sara and I am very excited to join the Fabricville Blog community! Like many of you, I am already deep into my summer sewing, having completed quite a few dresses. I realized that my wardrobe was missing a layering piece for the cooler days/evenings. 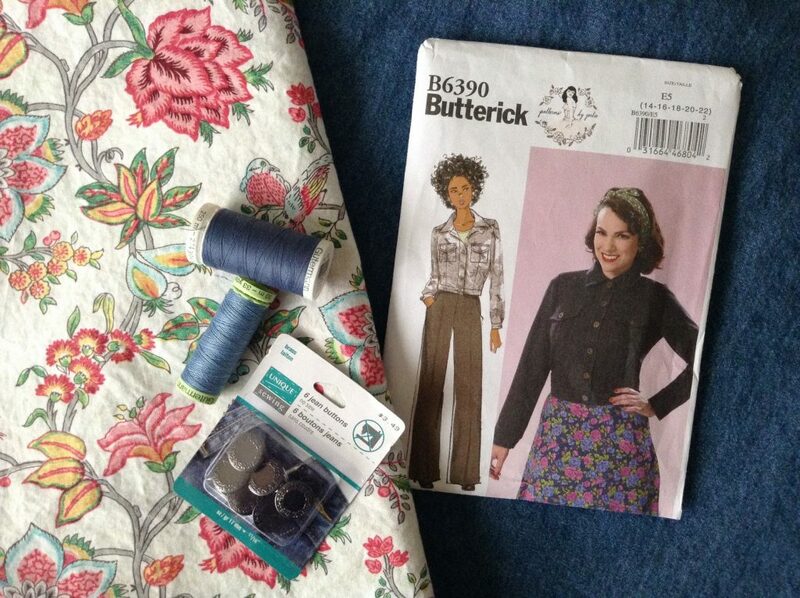 I have been wanting to make the B6390 pattern by Gertie jacket for quite a while. I found the perfect fabric for my project: the 8 oz Bleached Indigo Laundered Denim, and decided on a cotton for the lining from Fabricville’s summer collection: the Susannah Printed Cotton – Birds & Flowers – White. I love this beautiful print, it has a nice vintage look that compliments the style of the jacket. This pattern was really fun and easy to sew and came together quite quickly. 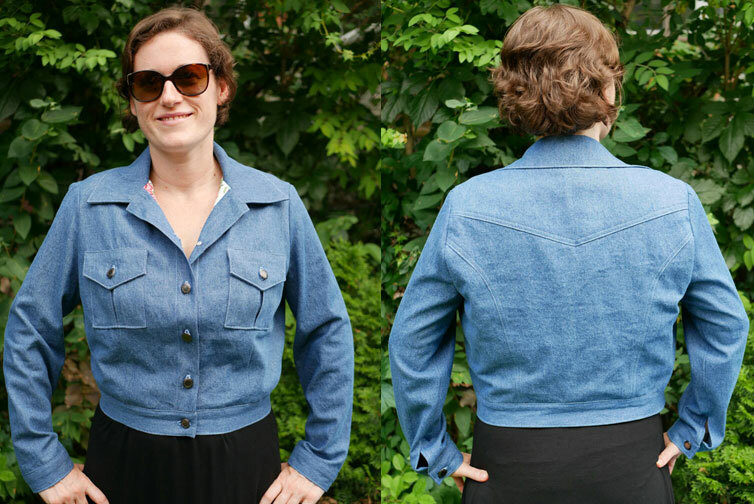 I love working with stable fabrics such as denim and cotton because they do not distort after cutting and everything always lines up perfectly! I chose size 14 according to the finished garment measurements printed on the pattern. I made a 1 “ swayback adjustment. I shortened the sleeves by 1.5”. I omitted the top collar button because I honestly would never button it all the way up, and I find the collar looks nicer without. I only used interfacing for the collar since the fabric was stable enough. 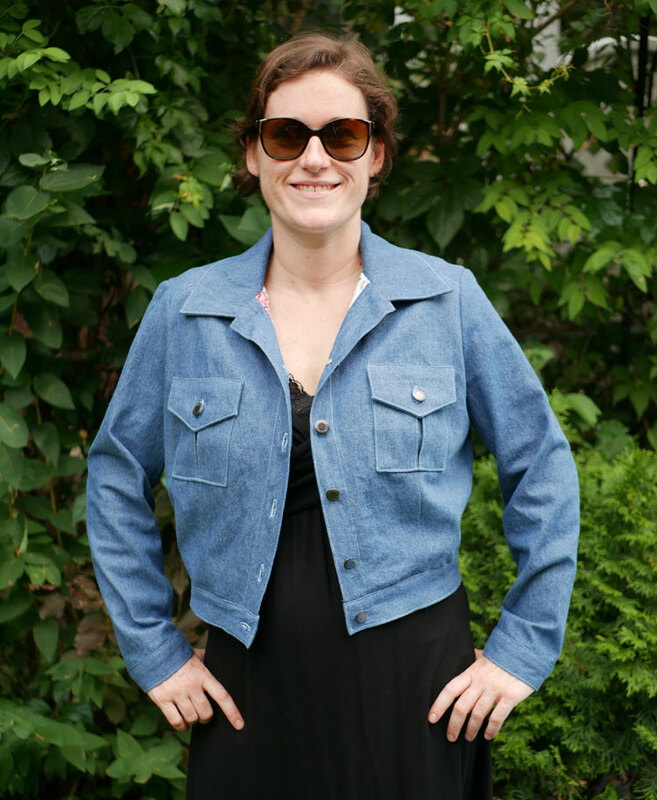 I am very pleased with my jacket, it has a nice weight to it without being too warm. I hope everyone enjoys their summer and especially their summer sewing! Bravo Sara! J’adore ton jacket et ton compte-rendu. J’ai hâte de voir ta prochaine création!